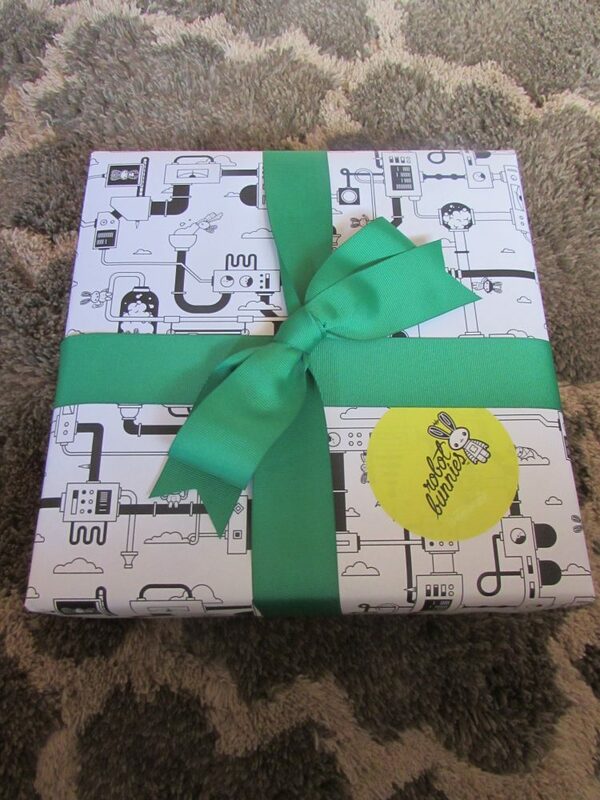 When the Robot Bunnies blanket arrived I was highly impressed by the wrapping. The first thing I thought was that if the contents inside were as amazing as the wrap that this was going to be on the top of my shopping list for anyone who had a baby this year. Baby blankets are timeless pieces and what I love about them is that they are easily saved and can be a perfect reminder of one’s childhood when they are an adult. Robot Bunnies provided us with a great blanket and their message to me is simply classic. They believe in the power and magic of a blanket. Their blankets inspire warmth, love and a soothing feeling and of course safety. For every blanket that they sell another is donated to a child in need as well. When I got the package unwrapped I found that inside was a very presentable paper wrapping around the blanket and under that was a beautiful charcoal colored baby blanket. 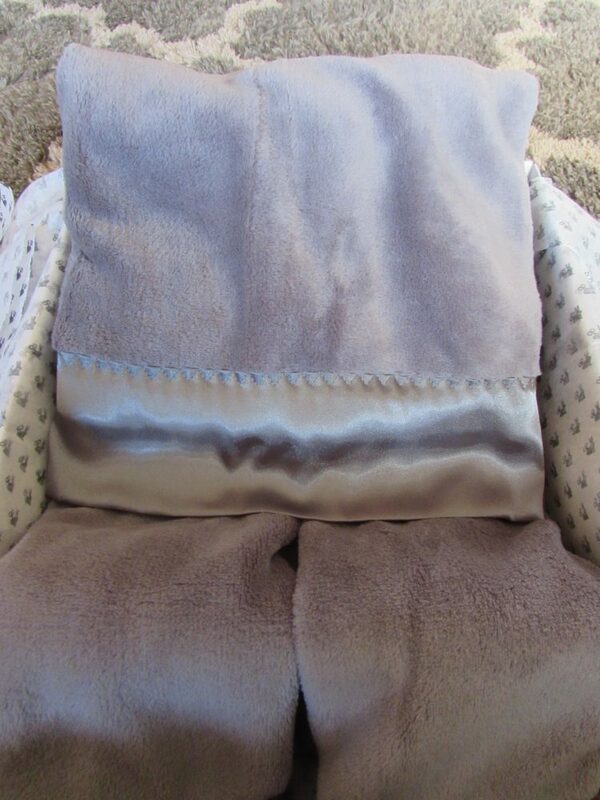 Baby blankies are supposed to be warm, soft and of course make your sweet baby feel loved. This one did the trick! I was blown away by how soft this was right out of the box. Our youngest was in the market for a new blanket. He is almost 2 and while I am sitting here wondering where the time has gone since he was a tiny infant I know that both him and his brother love blankets. They both have special ones that they love, but unfortunately for Willie his was not holding up to washing and it unfortunately needed to be retired. He was not a happy little boy at all. 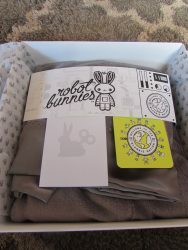 When the Robot Bunnies package arrived I know that Willie would have a new blanket by bedtime. I tossed it in the washer with his favorite detergent and that night he had a very peaceful sleep snuggled up under his brand new treasure proving that snuggle power is real. I totally admit to having a blanket that I drag around myself. I bring it on every trip we go on where an overnight stay is required and feel like having a piece of home makes for a restful night. This holiday season if you are looking for a great baby gift then look no further than Robot Bunnies. We are in love with this blanket and also love how much Willie enjoys sleeping with it. Knowing he is sleeping peacefully makes me sleep better as well. This year check out Robot Bunnies for your Holiday Gift Ideas and rest assured that even if you have to have your gift shipped directly to the baby of your choice that it is going to arrive in beautiful fashion. I seriously didn’t want to rip the paper because it was so unique! Check out our 2018 Holiday Gift Guide for other gift ideas for the entire family this year. We are honored to work with some amazing companies such as Robot Bunnies this year!